"Lying Is the Most Fun a Girl Can Have Without Taking Her Clothes Off", often shortened to "Lying Is the Most Fun...", is a single by American rock band Panic! 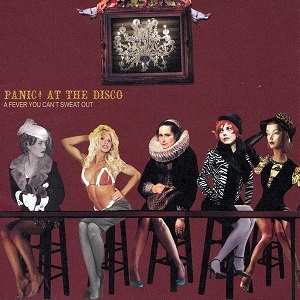 at the Disco, from the album A Fever You Can't Sweat Out. Released on August 7, 2006, it is the third commercially released single from that album and fourth overall ("The Only Difference Between Martyrdom and Suicide Is Press Coverage" was only released promotionally). The song impacted radio on October 17, 2006. The song's title was taken from a line of dialog in the 2004 film Closer (based on a 1997 play of the same name). The line, spoken by Natalie Portman's character, Alice, is, "Lying is the most fun a girl can have without taking her clothes off, but it's better if you do." "But It's Better If You Do", another song by Panic! at the Disco, was released as a single prior to "Lying is the Most Fun...". In the United States, the song peaked at number 28 on the Billboard Alternative Songs chart, number 96 on the Pop 100, and number 4 on the Bubbling Under Hot 100 Singles chart.